HERO Election Results: Welcome to ‘HATE Town’? Houston voters soundly rejected the city’s embattled equal rights ordinance Tuesday in one of the most heated local political contests in recent memory that drew national scrutiny and sparked months of impassioned back-and-forth about social issues, particularly transgender rights. The decision leaves Houston the only major city in Texas and one of the few nationwide without some form of a nondiscrimination law. It also marks the third time Houston voters have rejected protections or benefits for gay residents, as they did in 1985 and 2001. The equal rights ordinance, known by its acronym HERO, would have extended local protections against discrimination to 15 groups, ranging from veterans to pregnant women to gay and transgender residents, with the latter proving the biggest flashpoint for conservative opponents of the law. In recent weeks, the contest played out on a national stage, drawing comments from the White House and top state officials as well as media attention from a slew of top outlets. Critics pinned their campaign on the controversial claim that the law would allow men dressed as women, including sexual predators, to enter women’s restrooms. 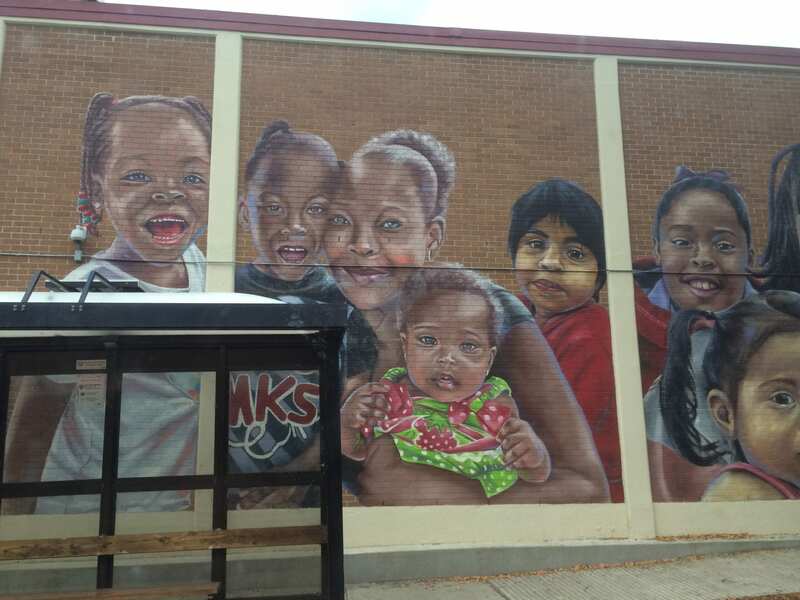 Opponents’ most talked-about ad featured a man bursting into a bathroom stall occupied by a young girl as ominous music played in the background. 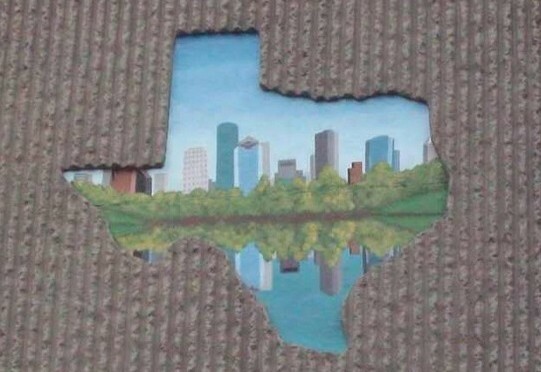 Houston , Texas is a city of 2.3 million people. Of that robust and rapidly growing number, 1 million Houstonians are eligible to vote. Just over 1/4th of those 1 million Houstonians showed up to vote on the Proposition 1 issue. 15.7 percent of those eligible to vote in Houston rejected HERO, and 10 percent of voters wanted to uphold it. And getting over 1/4th turnout for an off/off-year election is considered “historically high”. Voter Apathy folks… the struggle is real. As was pointed out in an earlier post, even this 25.7 percent doesn’t give the best gauge of what our city actually thinks about HERO, as over half of those showing up were in the 65 or older demographic. Voters aged 18 to 24 came in at under 2 percent of the electorate, and when combined with those 25 to 34, the two groups were still under 10 percent. At age 59, Mayor Annise Parker herself isn’t even in the age demographic that basically made this decision. We saw some things in 2014 that were very similar. And by the way… many Houstonians in that 65 and up bracket did support equality, so we definitely don’t want assume the values of everyone. But the demographic information is important to know. Far from being “haters”, what we had here were a lot of good-hearted, mostly Senior Citizen folks that saw egregious TV ads and reacted as to them as many would expect. Given those facts and the very long history of equality measures being defeated when put up for a popular vote, last night’s result seems less of a surprise. 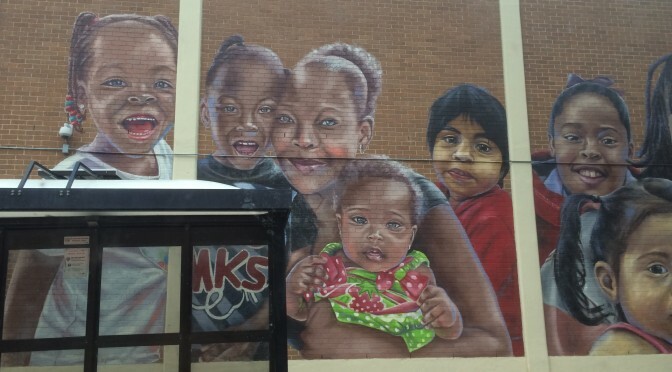 To the titular question… Houston has absolutely NOT turned into ‘Hate Town’. More like “we’re not ready” town, and “we were the latest forced to endure the embarrassment of an equality popular vote” town. Until we figure out how to increase Civic Engagement for Houston, Texas and across the country, we’re going to deal with elections where good ideas and candidates are defeated by misinformation and malice. So before we battle for a new vote, maybe it’s time to double and triple the education effort. Hate TownHEROHouston 2015 election resultsHouston Equal Rights OrdinanceHouston Voter ApathyHouston voters by age. As Early Voting comes to a close, the fight for the Houston Equal Rights Ordinance is intensifying on both sides. For supporters of Proposition 1 this week, that means some serious star power. 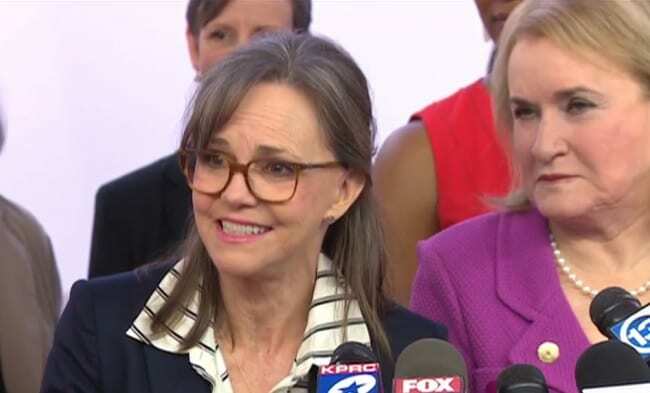 After meeting with the Houston Unites campaign, Academy Award-winning Actress and long-time Equality advocate Sally Field used her celebrity platform to draw attention to this critical vote. HOUSTON – Sally Field says she is compelled to stand up to what she calls evil lies surrounding Houston Equal Right’s Ordinance. The two-time Oscar winning actress says this is very personal to her because her mother and grandmother were both born here in Houston, and she’s the mother of a gay son. However, the actress says this goes much deeper than that. “Why here, why Houston, why me? Because everyone in this country is watching this. This is incredibly important. Eyes are on Houston. This is Texas,” Field said. She’s a name big enough to grab plenty of attention. Field is hoping Houston voters will listen to her message and vote “Yes” on Proposition 1. Also in attendance were State Senator Sylvia Garcia, Council Member Ellen Cohen, and a host of prominent Houstonian women in support of the ordinance. HOUSTON: Liberals from Hollywood and Washington, D.C. are trying to impose their radical agenda in Texas. Vote NO on Houston's Prop 1! Spirited as they may be, Lt. Gov. Patrick’s tweets do come with a bit of irony. As Texas’ second in command, he happens to reside in the beautiful city of Austin, Texas. You know… the same Austin, Texas that imposed its “radical agenda” of equality back in 2004. One wonders if Patrick lives in a constant state of fear for all of his fellow female legislators and employees as they traverse the big, scary, non-discriminating halls of their offices. Having voices like Sally Field step up in Support of HERO has so far had the desired effect. Her name was trending on Twitter for most of yesterday in Houston, and helped to increase national awareness of the truth on Proposition 1. Let’s hope Houstonians turn that attention into votes. 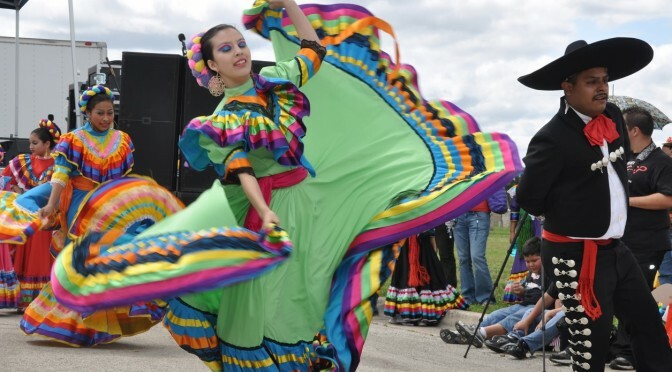 The Texas Progressive Alliance wishes everyone a happy and balanced equinox as it brings you this week’s roundup. Off the Kuff stands with Ahmed. Socratic Gadfly turns a bit of a skeptical eye to European panic over the “refugee crisis” and provides some critical analysis of how it’s being handled. Tired of watching Bernie Sanders surge, Clinton surrogates grabbed the ‘socialist’ brush and started smearing him. PDiddie at Brains and Eggs is pretty certain that this is how it’s going to go until the Sanders campaign no longer represents a threat to her coronation nomination. From WCNews at Eye on Williamson. It’s becoming clear that the GOP in Texas has no problem with the cuts to Medicaid therapy. They just don’t want to be blamed for it, Abbott, GOP Want Cuts, But No Blame. Neil at All People Have Value said that Alexander Hamilton should remain on the $10 bill. APHV is part of NeilAquino.com. The TSTA Blog salutes education reporter Terrence Stutz on his retirement. Paradise in Hell annotates Donald Trump’s Texas speech, and celebrates its first year of blogging. Texas Clean Air Matters explains why parents should care about climate change. David Ortez reports from a Houston Mayoral forum on issues facing younger voters. 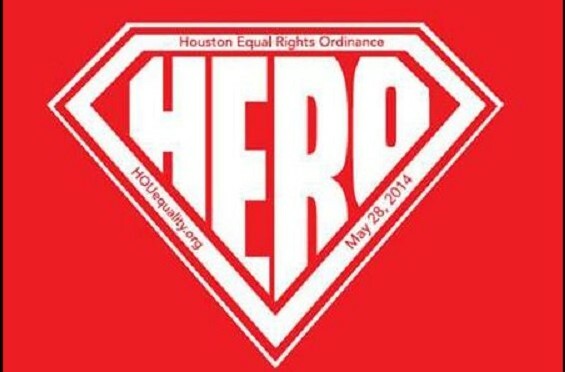 Danyahel Norris illustrates the importance of Houston’s equal rights ordinance. Finally, the TPA congratulates Lize Burr on her new positions as Editor and Publisher of the Burnt Orange Report. 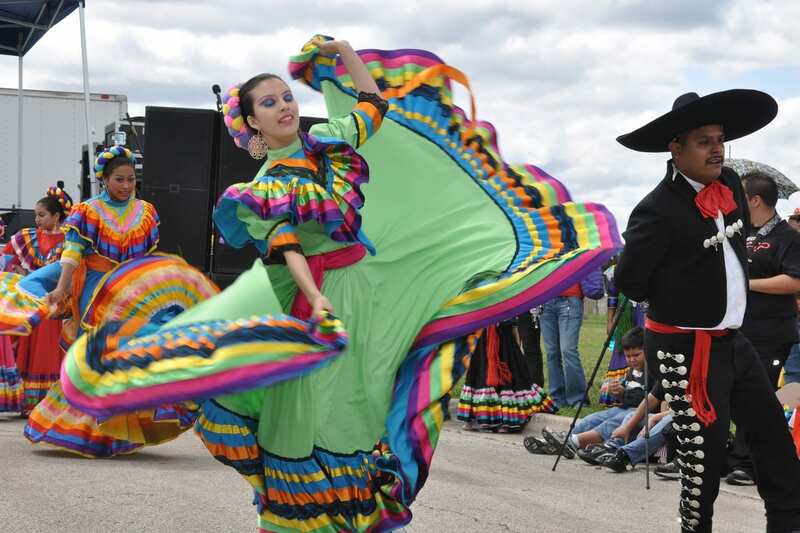 Today’s feature photo is of the Ballet Folklorico del Cielo performing in a parade at Ft. Sam Houston in San Antonio, Texas. Photo credit: Esther Garcia. The Texas Progressive Alliance is always on the side of equality as it brings you this week’s roundup. Off the Kuff decries the Supreme Court ruling that will force a vote on whether or not to repeal Houston’s Equal Rights Ordinance. Harold Cook explains why the Republicans won’t nominate Donald Trump, but won’t be able to escape him, either. Libby Shaw at Texas Kaos and contributing to Daily Kos never ceases to be amazed by Rick Perry’s serial hypocrisy. Have YOU No Decency, Rick Perry? Socratic Gadfly talks about the Dunning-Kruger effect and why many people think their local race relations are much better than national race relations. CouldBeTrue of South Texas Chisme notes that many people in South Texas do not have clean drinking water. 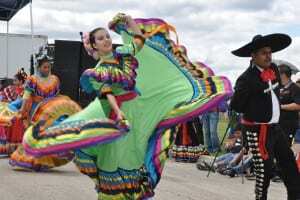 This should be a scandal, but, as Donald Trump has amply explained, Texas Latinos are nothing but piñatas to republicans. Ben Hall and Steven Hotze, Ben Hall and Dave Wilson… a lot of prayers got answered for the Houston bigots and homophobes when the Texas Supreme Court ordered the City of Houston to either repeal its equal rights ordinance or put it on the November ballot. PDiddie at Brains and Eggs knows that we don’t need another HERO referendum, but we’re going to get one anyway. With football season fast approaching in Texas, Neil at All People Have Value posted about the NFL’s refusal to allow Junior Seau’s family to speak at his Hall of Fame induction as Seau’s family sues the NFL over his terrible head injuries. Football is unsafe to play at any level. APHV is part of NeilAquino.com. The Texas Election Law Blog tries to clear up some confusion about resignations and vacancies. Ex-pat Texan Elise Hu-Stiles documents what it’s like to live and have children in Seoul, South Korea. The TSTA Blog wishes our state leadership cared as much about schools as teachers, parents, and charities do. Scott Vogel, editor of Houstonia, has some choice words for a couple of readers who objected to an ad showing a multi-racial family. Tamara Tabo examines the problems of jail surveillance cameras. Paradise in Hell knows that Texas is great in spite of Rick Perry, not because of him. Eric Berger geeks out over the pictures from Pluto. Grits for Breakfast tries to distill some lessons from the Sandra Bland tragedy. After separate rulings from both a jury and state District Judge Robert Schaffer, attorneys for both sides entered dueling counts of the valid signatures, adding and subtracting voters as Schaffer responded to motions. By early this week, the counts were closer together than ever before, fewer than 1,000 signatures apart. Ultimately, Schaffer on Friday ruled the final count of valid signatures was 16,684, leaving opponents short of the threshold required in the city charter of 17,249 signatures, or 10 percent of the ballots cast in the last mayoral election. The law, on hold during trial, is now in effect, according to a city spokeswoman. Mayor Annise Parker released a statement celebrating the verdict. 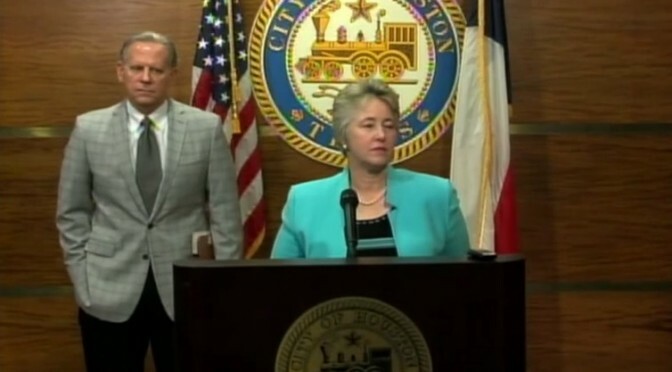 The day’s news marks the end of a huge week for Houston Mayor Annise Parker as well, who just gave her final State of the City address on Thursday. Though the District Court ruling may come as quite the surprise to many Texans, it should be of little surprise to those familiar with the shoddy work of Anti-HERO petitioners. When reviewing the signatures City of Houston officials, independent review groups, the jury and the judge were all able to uncover glaring errors and inconsistencies. Yet still, today’s decision is both a relief for supporters and a great victory, as the Houston Equal Rights Ordinance can now take full effect. More news is surely to come. City Attorney David Feldman on Friday announced that he plans to resign next month, citing, among other reasons, that he could better defend the city’s embattled equal rights ordinance as a key witness than as a lawyer in the upcoming case. Feldman has played a crucial and at times controversial role in Mayor Annise Parker‘s administration, alternately acting as chief negotiator, attack dog, policy wonk and spokesman. Feldman said Friday that the main reason for his departure was his desire to work at a law firm with his son. But he acknowledged that the timing of his resignation was driven by the court date for Parker’s signature equal rights ordinance, which is set to take center stage Jan 19. 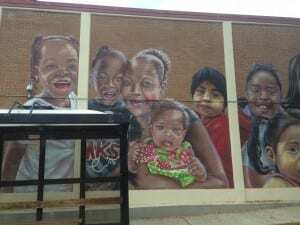 Conservative critics sued the city this summer after Feldman and Parker announced that the group’s petition to send the ordinance to the ballot did not contain enough valid signatures. Opponents seeking to force the referendum largely take issue with the rights extended to gay and transgender residents under the ordinance City Council passed last May. Despite Feldman’s statement saying that he will be a greater asset to the City from the witness chair than the Attorney’s desk, it’ very hard to see any logic in his decision to step out just as the HERO case is heating up. Unless of course he sees what myself and other have… The fight that lies ahead to protect HERO is potentially much more difficult than the fight to get the law passed. This leaves city in a scramble not only find top notch legal representation, but also to get those persons up to speed in a precious few weeks. We’ll see what Mayor Parker and her team can come up with. No matter the amount of animus thrown at HERO, it’s really important to remember one last point… the anti equality side’s arguments are built on lies. They may be growing rapidly in money and power, but that doesn’t make anything that they say actually TRUE. This ordinance is common-sense legislation that is already in place across the country. The facts are are squarely on the side of equal protection for all. Off the Kuff, Brains and Eggs and Texpatriate have more. Opponents of Houston’s equal rights ordinance have asked the Texas Supreme Court to force the city secretary to certify the signatures on a petition they submitted seeking to trigger a repeal referendum on the law. Houston’s 14th Court of Appeals denied a similar request on Aug. 15, ruling that the emergency writ of mandamus would have the same result as a favorable ruling in the pending lawsuit opponents filed against the city earlier this month. The plaintiffs, the judges wrote, could appeal after a ruling comes down at the trial court level. Trial in that case is set for Jan. 19. The new filing with the Supreme Court, turned in late Tuesday, is similar to the group of conservative pastors and activists’ previous requests. It seeks to have the court force the city to suspend enforcement of the ordinance, to put the ordinance to another vote of the City Council and, if the council does not repeal it, to put the issue before voters. The case already scheduled for January is seeking a writ of mandamus— a court-ordered directive for the signatures to be certified, and therefore require a referendum. But the filing to the Texas Supreme Court asks for virtually the same thing, though both sides know the January trial is already pending. Some may wonder… if the Mayor and the City are already giving HERO haters what they want by suspending enforcement of the ordinance, why is it necessary to keep crying for a court-ordered suspension? It’s proving to be not only a waste of time for our court system, but as Off the Kuff points out, is surely costing a mountain in legal fees. The simple answer? Because politics. For one thing, the recently ousted Jared Woodfill needs something to do, or else he risks losing all relevance with the political elite. Parker’s decision to preemptively suspend the law is a special thorn in the opponent’s side because it denies them any possible political win. If the Houston Equal Rights Ordinance is not in effect, they don’t get to shout from the rooftops that their court order was able to suspend it. So instead they’re trying for the next best thing… a milk-toast version of victory via paper. In order to give their cause any hope, they are desperate for something to cling to. It’s true that anything could happen with the Texas Supreme Court. They may choose to take the case and push HERO to a referendum. But even in that event, supporters are the law are ready for the fight… whether it takes place today, in January or years down the line. See Texpatriate for more analysis on this, including a better explanation of the actual legalese.